Valvoline - I Say Ding Dong Shop - Buy Stickers, Decals & Unique Automobilia. Valvoline 'Ask For Valvoline Motor Oil' Sticker. 8.25". 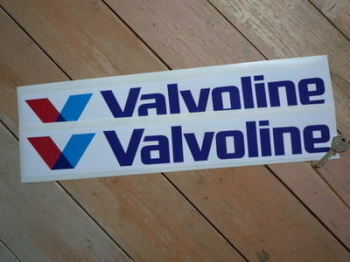 Valvoline 'V' Long Oblong Stickers. 18" Pair. Valvoline American Road Race of Champions 1971 Georgia Participant Sticker. 5.5". 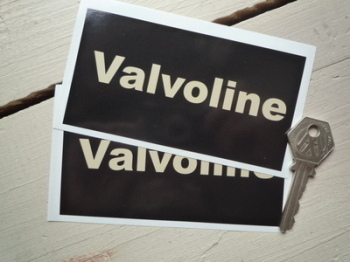 Valvoline Black & Beige Oblong Stickers. 4.75" Pair. 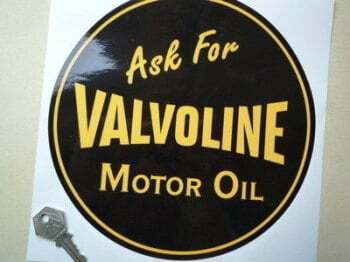 Valvoline Cut Vinyl Old Style Text Sticker. 8". 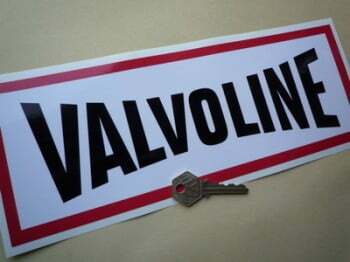 Valvoline Cut Vinyl Text Sticker. 12". Valvoline Girl P1 Baby Car Body or Window Sticker. 3". Valvoline Motor Oil Oblong Sticker. 12". Valvoline Motor Oil Oblong Stickers. 6" Pair. 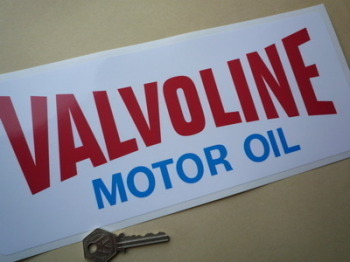 Valvoline Motor Oil Service Sticker. 3.5". 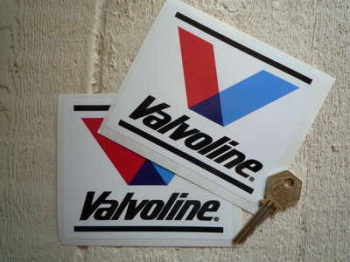 Valvoline Oil Black Square Stickers. 4" Pair. 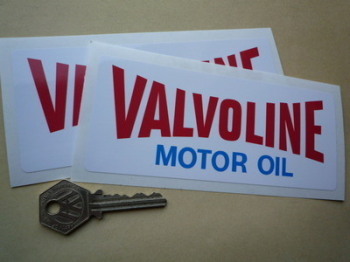 Valvoline Oil Modern V & Streaks Stickers. 4.75" Pair. 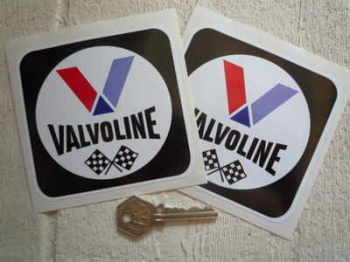 Valvoline Old Style Round Stickers. 3", 4" or 6" Pair. 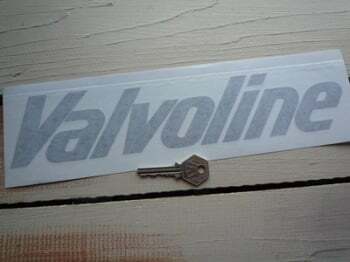 Valvoline Old Style Window Sticker. 3". 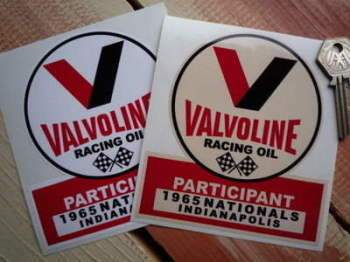 Valvoline Racing Oil Indianapolis 1965 Participant Sticker. 4.5". 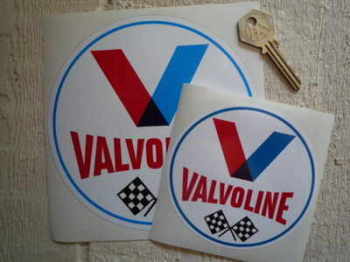 Valvoline Racing Oil Red Square Stickers. 4", 6" or 8" Pair. 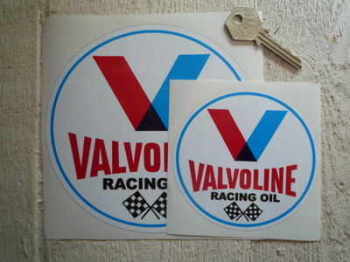 Valvoline Racing Oil Round Stickers. 3", 4", 6" or 8" Pair. Valvoline Red, Black & White Oblong Sticker. 12". Valvoline Red, Black & White Oblong Sticker. 19.5" or 24".